If you are part of the furniture up-cycling world, you have likely heard about hemp seed oil. This miraculous product is powerful super tool that lends itself to an array of beautifying and strengthening finishes. This is definitely a product that lives up to its street credit! What is hemp seed oil? 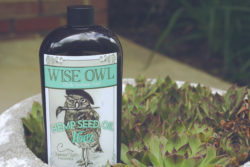 Hemp oil or hemp seed … Continue reading What is the big deal about Wise Owl’s hemp seed oil?